The Russians and Chinese have learned from the F-14 ? 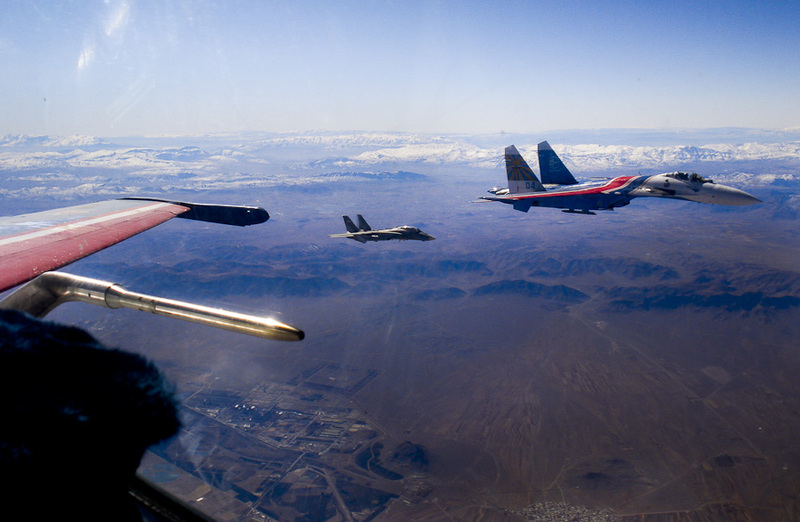 There have been instances where advanced American fighters have found their way to unfriendly countries the most notable being the defection of an Iranian F-14 crew to Russia, although some rumors persist that the Iranians provided information on the Tomcat to Russia. (The following unverified claims are suspect as the radar in question is a ground attack set and the AWG-9 was for pure intercept missions.Use with caution.) According to information finally released in 2006 by China, the fire control technology of JL10A was partially based on AWG-9 of F-14 Tomcat. At least one complete set of AWG-9 was obtained from Iran in the 1980s, and China attempted to reverse engineer the American system. However, the Chinese was so technologically behind that it could neither completely decode the embedded software and nor produce the microelectronics needed. It was not until the late 1990s, more than a decade later for Chinese technologies to mature enough to have a relatively complete understanding the detailed design of AWG-9, and by this time, identical copy of the American system was considered inefficient because the 1960s electronics and analog computer technology were obsolete despite the advanced design principle / philosophy. As a result, the JL-10A adopted solid state electronics and fully digitized computer technology instead. China, however, still faced great technological gaps in the late 1990s which had limited its capability to produce a system that matches AWG-9 on equal terms, resulting in the number of targets JL-10A can simultaneously tracked and engaged are still significantly lower than that of AWG-9, which is able to simultaneously track 24 targets and engaging 6 of the 24 tracked. In comparison, JL-10A can only simultaneously track 15 targets and engage 6 of the tracked. Due to the same reason, the range of JL-10A is also much shorter than that of AWG-9: in comparison to the 300 + km range of AWG-9, the range of JL-10A is only 104 km. Other technologies benefited from the AWG-9 included the compatibility with electro-optics such as IRST. Similar to the American AWG-9, JL-10A is part of a larger airborne fire control system that integrade other sensors such as IRST, and the Chinese system is designated as AMFCS, short for Airborne Multi-targets Fire Control System, which works exactly with the identical principles of similar system on F-14 Tomcat, from which AMFCS is developed from. AMFCS is developed by CLETRI, the developer of JL-10A, and the system has already been installed on JH-7A Flying Leopard. Soviet Union fielded in 1981 i.e. two years after the Islamic the MiG -31 with Zaslon PESA radar i.e. a completely different aereodinamic and electronic solution for the same requisite of a long range interceptor able to engage several target at once . 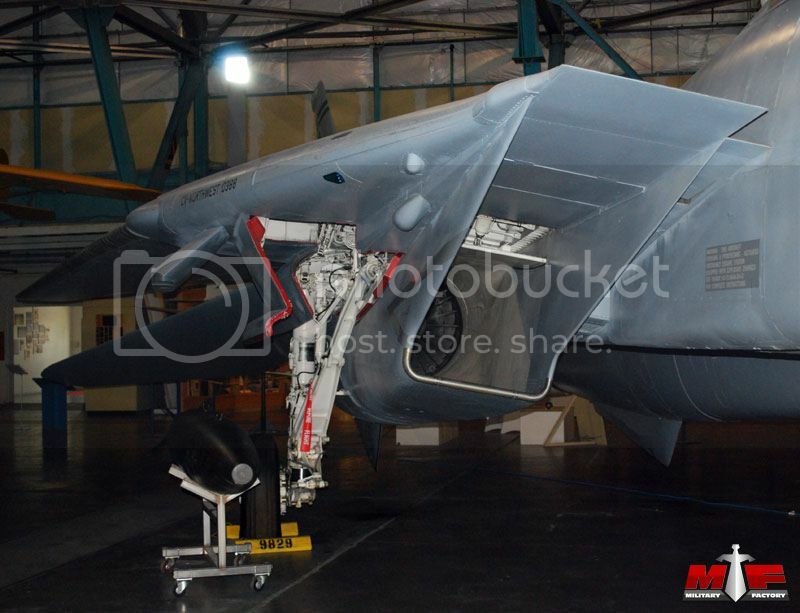 Only thing that is remotely similar between F-14 and Fulcrum and Flankers are podded engines and twin tails but their general configuration is totally different: in one case they are attached to a conventional fuselage and to swept wings while on the other case we have a blended wing with no actual fuselage. Note that all those fighters were already in advanced development when the revolution occurred so not any relevant influence between one to the others could have come from such a way. Same can be said at the reverse: how it come no one have ever postulated any influence of the defected MiG-25 on teen fighters? Last edited by Marcellogo; 5th February 2017, 11:21. Su-27 Engineers experienced difficulties with the development of the chassis. "The main landing gear," borrowed from the F-14. Air intakes - too. Stop with rubbish posts, blackadam. This isn't even remotely funny. JL-10A isn't even remotely similar to AWG-9. Then you left field post Tomcat is similar to Flanker. You're trolling. no their landing gears look substantially different. There is a nice documentry on the Su-27 development out there you know.. people really should look it up. Last edited by haavarla; 5th February 2017, 13:58. In general, it does not seem right? 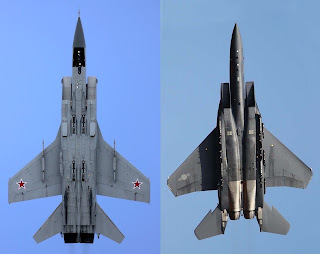 There are other planes with a similar scheme of the chassis (with the exception of the MiG-29)? Last edited by paralay; 5th February 2017, 14:16. There are other planes with a similar scheme of the chassis? 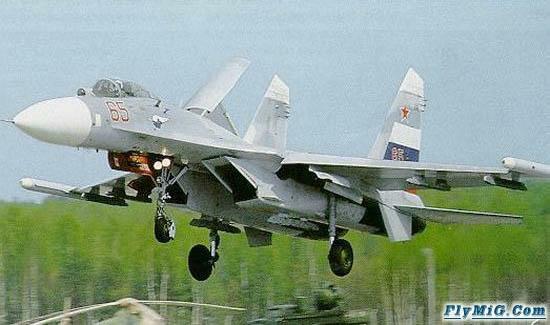 What is that cannister mounted on that Flanker? Yes I know. The first appearance of MLG "a la F-14" in 1973. The F 14 is in the same era as the veriable swept wing Flogger. Are you implying that they look similar or something? Because they dont. Last edited by paralay; 5th February 2017, 16:19. The Tomcat is a very unique aircraft. I just don't know how you can compare a variable swept wing 3rd gen aircraft with a blended wing 4th gen aircraft. Because i like playing this comparo game, I'll concede that the intakes kinda look similar.. I guess. But its a mixed bag. Ofcourse its a mixed bag. There will allways be similarity when we have many fighter that have two engines, two Verticals attached to an airframe. But sadly some People are incapable of understanding this, and even history timeline. And with a good mixed portion of natiolism nd ignorance, they scream; its a Russian copy!!1!1! There is nothing wrong with "copies", when someone comes to a similar technical solution for his weapon-system built later on. None is to blame about that, when he adopted a similar solution to skip some otherwise expensive avenues to explore. J-11 vs. Su-27, that is a "copy".. everything else is smart engineering.. why not use a good solution even if having been applied somewhere else? But don't you think our friend here is reaching a bit with this Tomcat/su 27 comparo ? Last edited by KGB; 5th February 2017, 19:04. All times are GMT. This page was generated at 13:56.